Reduces oxygen levels to less than 15ppb. Scrubbing agent sphere size optimized to achieve maximum surface area and capacity to provide twice the surface area and capacity of "look-alike" units. Filter design and aspect ratio prevents channeling and promotes even flow and efficient scrubbing. Bed material treated with ultra high purity helium. * Available with stainless steel compression fittings -add "SS" to part number. Gas traps should be mounted in a vertical position to ensure proper contact of the gas with the adsorbnet. 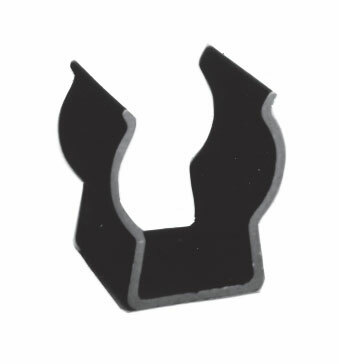 Use model 8012C mounting clip with 6300 Series oxygen trap.